We're a vibrant, Christian community located in Burlington, WI. Join us for worship, fellowship, and outreach. Holy Communion is celebrated at every worship service. All who believe the words, "Given and shed for you for the forgiveness of sin," are invited to this table of God's grace. Come! Be fed and nourished! On Sunday, April 7th, we welcomed new members to our congregation. If you are interested in becoming a member of Cross Lutheran Church, please contact the office at 262-763-6570 or crossbur@cross-church.org. Noah's Ark has been providing quality education for preschoolers for over 30 years. 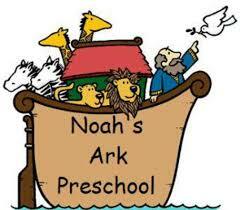 Noah's Ark is a Burlington Area School District 4K provider as of Fall 2014. Enrollment is open now for 3K and before/after care. 4K enrollment is through BASD. Be sure to check out our fantastic preschool program, with quality teachers who are ready to welcome you and answer your questions. Join the Cross community on Facebook! Find up-to-date information about Cross, what events are coming up, see pictures from past gatherings, and interact with your fellow members. And follow us on Instagram: @crosslutheranburlington. Looking for ways to support the ministries at Cross Lutheran? We've partnered with Tithe.ly, a Christian giving service that offers mobile and online giving for congregations. Whether you want to set up a recurring offering or share a one-time gift, Tithe.ly makes it incredibly easy! If you know your offering box number, please put that in the Member ID box (this will help the Financial Office keep your records confidential and up-to-date). Or you can call the church office to talk with Bobbie Abel, our Financial Manager.